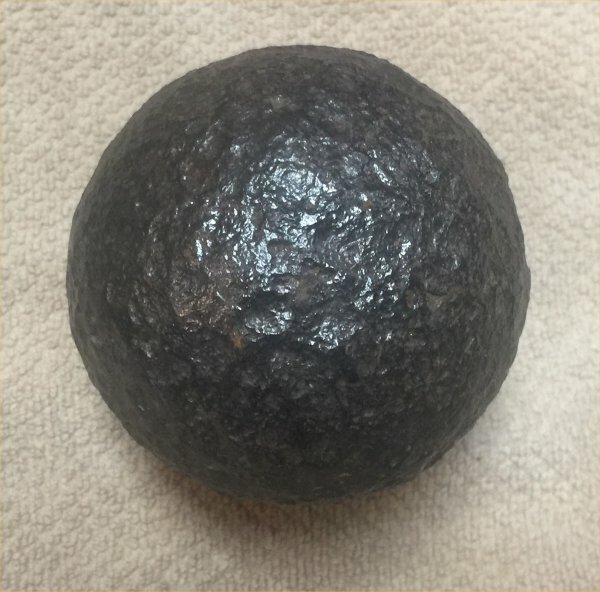 Description:This is a 6 pounder solid shot I got from a collector. 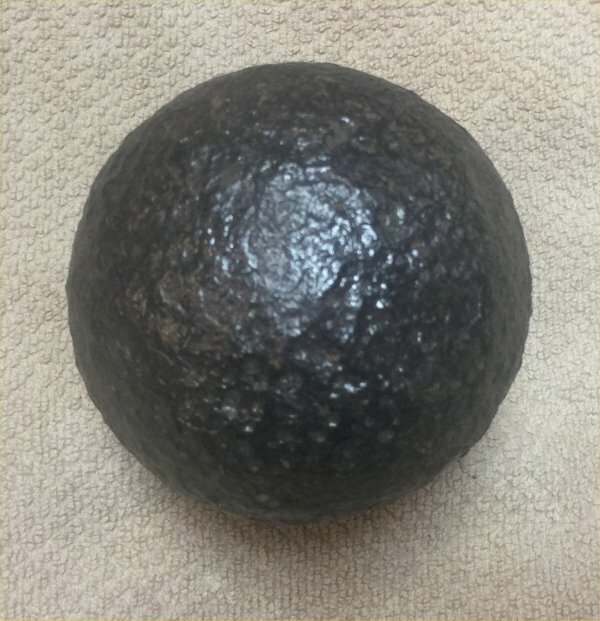 He believed it was from the Shiloh area but I don't think it is certain. Condition is pretty decent. There is minimal pitting but nothing deep and the price reflects this. There is a faint mold seam evident. Shot is cleaned and coated.